I found one best book that is little SAS. This post covers almost all examples and critical macros you need for your job. The best-selling Little SAS Book just got even better. Readers worldwide study this easy-to-follow book to help them learn the basics of SAS programming. Now Rebecca Ottesen has teamed up with the original authors, Lora Delwiche, and Susan Slaughter, to provide a new way to challenge and improve your SAS skills through thought-provoking questions, exercises, and projects. Unix you will get all basic commands everywhere. Macros or shell scripts how to execute is really you need. Good book so that you can automate tasks. 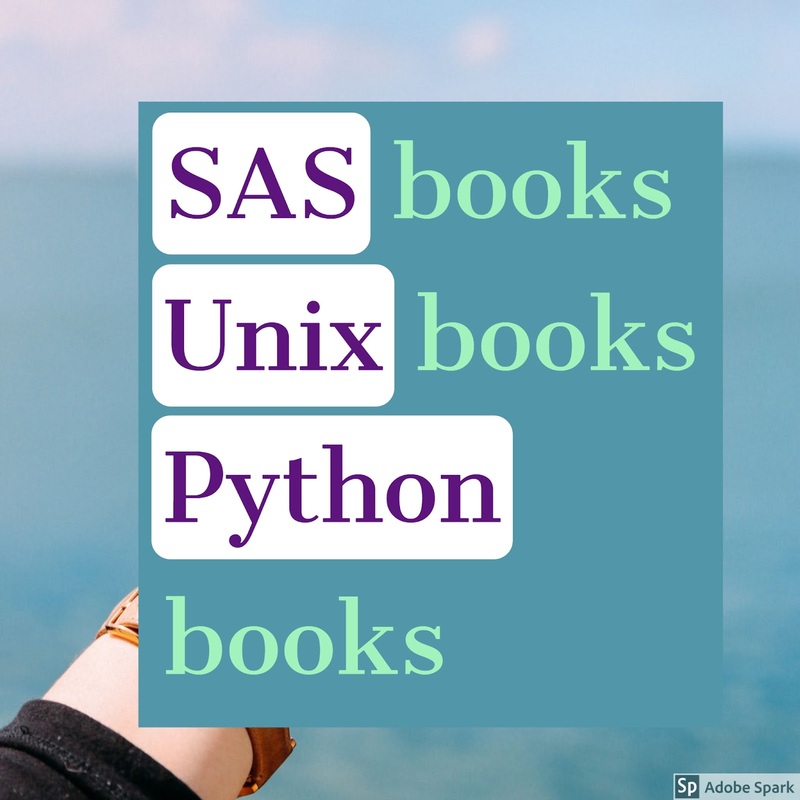 Python is mostly used language and highly in demand skill for data analysis. Core programming skills are highly in need.